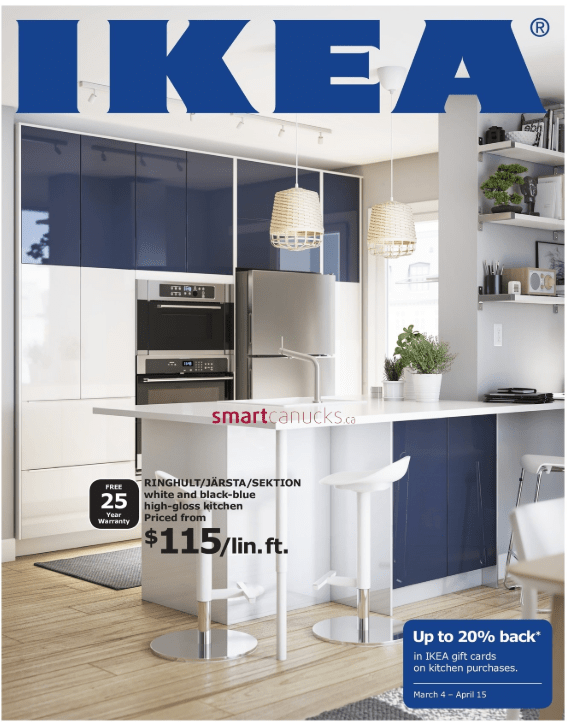 IKEA Canada has a great Kitchen Event available now that includes: Get up to 20% back in IKEA Gift Card on Kitchen Purchase. Get 10% back in gift cards on kitchen purchases. Get 15% back in gift cards when you buy a kitchen with 1 or 2 appliances. Get 20% back in gift cards when you buy a kitchen with 3 or more appliances. This offer is valid from today, March 4, 2019, until April 15, 2019.